The students of KG Uranus, K.R. 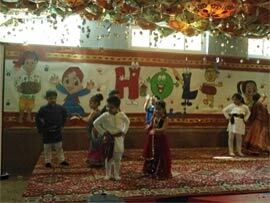 Mangalam World School, Paschim Vihar presented their special assembly on Holi. Holi is one of the most important and oldest Hindu festivals. 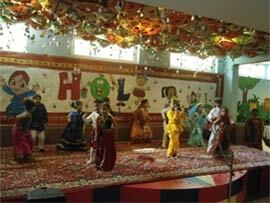 Holi is also called the spring festival as it marks the arrival of the season of hope and joy. 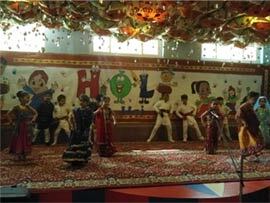 Holi has various legends associated with it. The festival of Holi actually starts the night before with a bonfire. Fire is meant to signify the destruction of evil – the burning of the Holika. The call of Holi is to always keep ablaze the light of God-love shining in your heart. The assembly was appreciated by teachers as well as parents. It was fun to be a part of the assembly. It was a huge success due to hard work and efforts put in by our dear children.